Ascidian Genera featured in Tunicarium as of September 10, 2011. 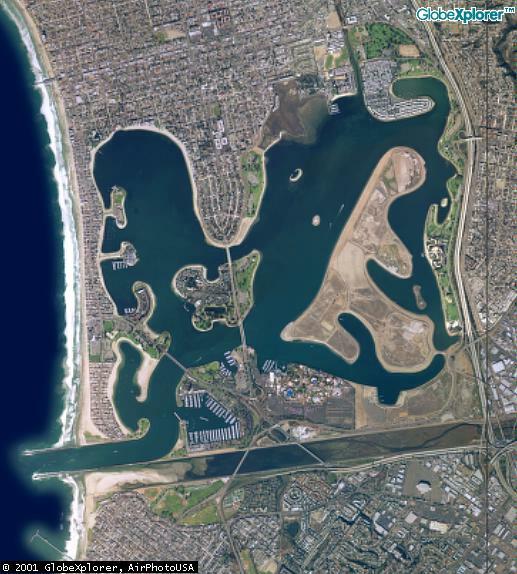 Marina collection site in San Diego - Mission Bay. 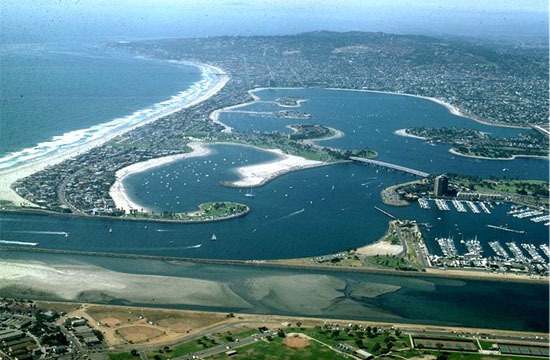 Dana Harbor (red star) was a major collection site of Styela clava, although specimens were collected at other sites in Mission Bay as well as Harbor Island and Shelter Island in San Diego Bay. The San Diego River (yellow star) runs within a flood channel directly into the Pacific Ocean, so the Bay is not diluted with significant amounts of fresh water. Tunicarium: Ascidian Microscopic Image Collection. This website is a microscopic image library compiled from my California ascidian micrographic collection circa 1970-1980, new brightfield images of the 1970-1974 microscopic slide collection, and new stereomicroscopic images of species collected in New England waters starting in mid 2011. Most of the black and white images from work performed in the 70s consist of histologic, autoradiographic, and electron micrographs of Styela clava collected along the California coast. Representative species from other families were also studied to compare their structure and cell biology with Styela clava. These species were collected from marinas or by snorkeling and diving along the California coastline to a depth of approximately 60 ft (San Diego to Carmel). The website also contains in situ and underwater professional photographs of ascidians and anatomical line drawings from my and other publications to illustrate morphology and identification. The original work was performed at the Scripps Institution of Oceanography, UC San Diego. 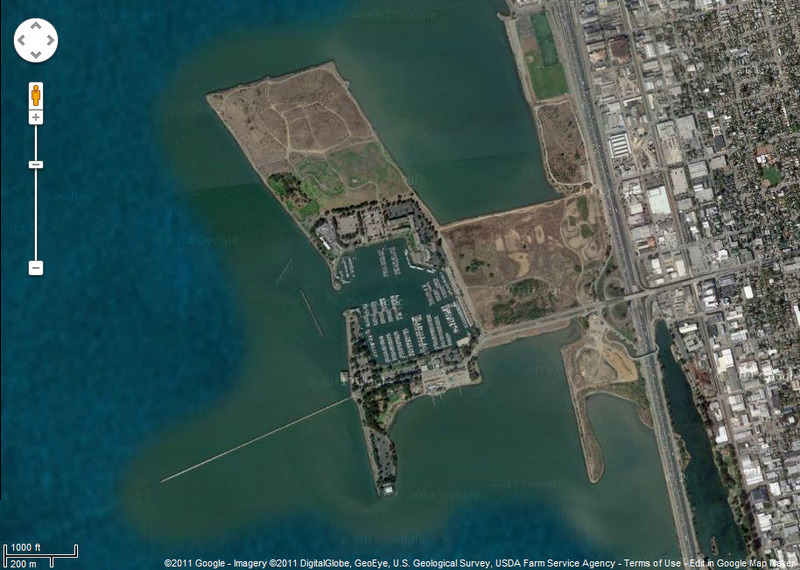 Subsequent cell structural studies of Styela clava were performed using specimens collected from San Francisco Bay (Berkeley Marina) at UC Berkeley and UC San Francisco. My current research is being conducted at the microscopy and field offices of Sea Peach BioSciences, centered in Newton Centre, MA. I also have a seasonal office in Provincetown, MA, for field studies in Cape Cod bays. Archived EM images and new color brightfield and stereozoom digital imagesare being uploaded on a continuing basis and featured in my blog, Harbor Watch. Styela clava was common in San Francisco Bay as early as 1974.